USA Wrestling proudly announces the Living the Dream Medal Fund. We have created the Fund with the purpose of allowing the entire wrestling community to participate in celebrating and honoring the hard work of our champions. While we understand that no wrestling champion wrestles ‘for the money”, this Fund will send a strong message to our elite athletes that their glory is our collective glory and their hard work and dedication is appreciated. U.S. World and Olympic team members are our ambassadors to the global wrestling community. The long journey from pee wee wrestler to an Olympic medalist requires a level of determination, of sweat, of pain, of time on the road, and in the gym, and on the mats…of dieting, deprivation, almost madness. The few that survive that journey and win deserve our support. The Fund is being established to award stipends for gold medal, silver medal, and bronze medal finishes at this years World Championships in Copenhagen, the 2010 and 2011 Worlds, and the 2012 Olympic Games. 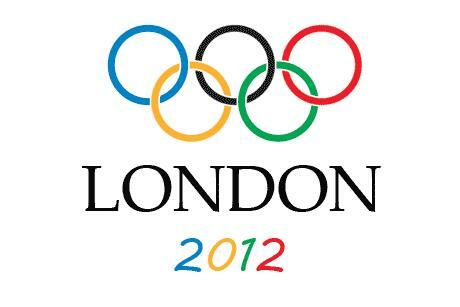 For the London 2012 games, the plan is to offer $250,000 for a gold medal, $50,000 for a silver, and $25,000 for a bronze. It is important to note that contributions to this Fund will only go directly to pay the awards referred to above to each athlete that achieves their spot on a World or Olympic podium. The Fund will incorporate and utilize the existing stipends from USA wrestling and stipends as made available by the USOC. The Fund will be maintained as a restricted and segregated fund by USA Wrestling. * It will be overseen by a board that includes representatives of USA wrestling as well as a group of stewards who have helped establish the Fund and will assist in financially underwriting it. We are now looking for donations from $5 to $5,000 from our brothers and sisters in the wrestling community. It is this extended family of wrestlers, of cauliflowered crusaders, where we will find support and strength to back our athletes. We appreciate your help. We need it. Our champions need it. *This announcement summarizes the purpose of and provides general information regarding the living the dream medal fund. Additional information pertaining to the fund may be obtained from USA Wrestling, including information regarding return of contributions to donors in the event the full amount of the fund is not awarded after conclusion of the 2012 Olympic Games based on the performance of the USA Wrestling 2009, 2010 and 2011 World Teams and 2012 USA Olympic Wrestling Teams.